We have covered so many Captured Tracks bands over the years — the label’s roster lines up pretty closely with the tastes of the people of this site. So it was no surprise to us that Hoop Dreams, who so impressed at Glasslands in August, were on Captured Tracks and poised to release their first record. The band has a sound clearly influenced by early 80s Manchester UK — and which sounds quite like Captured Tracks label-head Mike Sniper’s Blank Dogs. Hoop Dreams performed in the third slot at our CMJ show, but their 2pm performance was the first of the day to fill the room. Max Brooks deep baritone vocals are delivered with confidence and are complimented perfectly by the melodic guitar lines and aggressive bass guitar, often supplemented by electric violin. The band performed their only current release, the single “XCPR” along with much of what we believe will comprise their debut album. We are streaming the set’s final track “Jumping Fences”, which finished the show on an energetic high note. Hoop Dreams returns to NYC for a gig at Glasslands on November 12. I recorded this set in the same manner as all of the other sets from this day and the sound quality is superb. Enjoy! 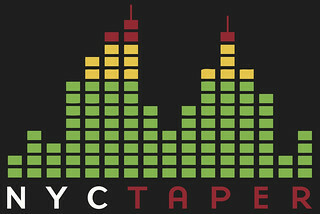 If you enjoyed this recording from NYCTaper, PLEASE SUPPORT Hoop Dreams, visit their Facebook page, visit their Bandcamp page, and purchase their single XCPR from Captured Tracks.